Welcome to the new-look ProjectManagementHistory.com home page. The site now has a responsive layout to support smaller devices, and has been broken up into separate pages to make way for forthcoming entries. It is still work in progress, so watch this space for more. 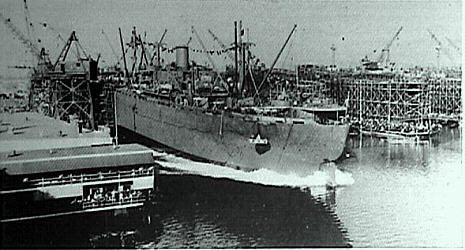 In World War 2, Henry J. Kaiser and the people of Kaiser Shipyards turned out ships faster than the U-boats could turn sink them, despite German dominance in the mid-Atlantic. Without the resources brought to the UK by these ships, D-Day could not have happened. Project Management can make all the difference in the world, but it is an area whose history is little known. This web site is intended to highlight that there is something important beyond the mechanics, jargon and accepted practices of project managment, something fundamentally inspirational and creative that makes this discipline as much a humanity as it is a science, and brings it close to the bedrock of both our nature and our success as a species. Latest article: January 2016 - The Empire State Building.